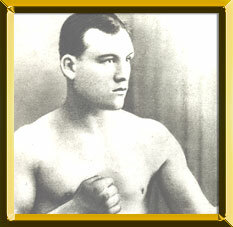 Standing 5' 8 ½”, Smith was a talented two-fisted battler with quick hands who entered the ring ready to wage war. He often displayed a blatant disregard for the rules, resorting to a variety of foul tactics including but not limited to elbows, butts, knees and sometimes even biting. His tactics earned him the label as “The Dirtiest Fighter Who Ever Lived.” Smith won the world welterweight title in 1892 from Danny Needham (KO 14) and lost it to seven-time rival Tommy Ryan two years later (L 20). He regained the strap in 1898 from Matty Matthews (W 25) and reigned for two years before dropping the title back to Matthews in 1900 (KO by 19). Smith continued to box until 1915 and during his career scored wins over Young Peter Jackson, Young Corbett and Hall of Famers “Barbados” Joe Walcott and George “Kid” Lavigne.